The Serious Fraud Office has launched a criminal investigation into alleged fraud, bribery and corruption at civil aviation giant Airbus Group. The European aircraft maker said it was co-operating with investigators from the UK law enforcement agency, which said the inquiry had been opened in July. The company revealed in April that it was in discussions with the British authorities over "inaccuracies" it had found in applications it had made for UK Government credit guarantees. 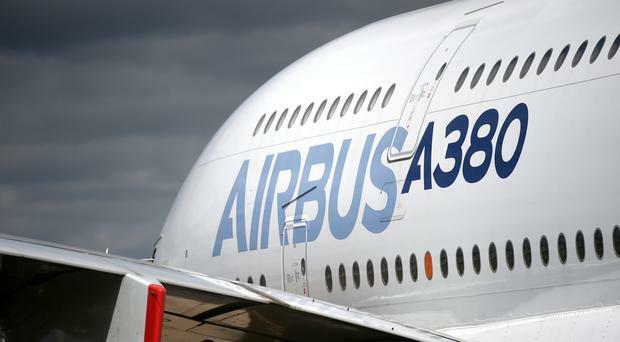 An Airbus spokesman said at the time that errors had been uncovered in an internal compliance review. The UK export credit agency said it was for the SFO to decide whether to pursue the matter further. In a statement released on Sunday, Airbus said: "Airbus Group has been informed by the SFO that it has opened a criminal investigation into allegations of fraud, bribery and corruption in the civil aviation business of Airbus Group relating to irregularities concerning third party consultants. Airbus Group continues to cooperate with the SFO." An SFO spokesman confirmed: "The director of the Serious Fraud Office has opened a criminal investigation into allegations of fraud, bribery and corruption in the civil aviation business of Airbus Group. These allegations relate to irregularities concerning third-party consultants." The SFO appealed for anyone with information about the case to contact them via a secure and confidential reporting channel on their website www.sfo.gov.uk. The use of third-party middlemen in major commercial deals has been the target of anti-bribery legislation around the world. Guidance issued for companies under the UK's Bribery Act 2010 warns that "the bribery risks associated with reliance on a third party agent representing a commercial organisation in negotiations with foreign public officials may be assessed as significant and accordingly require much more in the way of procedures to mitigate those risks". Airbus has its headquarters in Toulouse, France, and has major UK operations at Filton, near Bristol, and Broughton in north Wales.